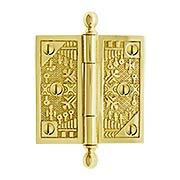 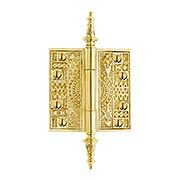 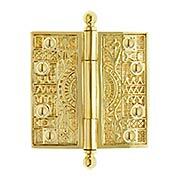 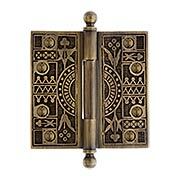 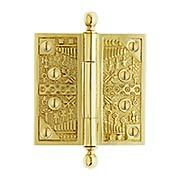 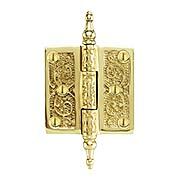 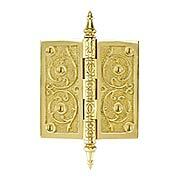 This delightfully decorative brass hinge embodies the Victorians' love of elegant design. 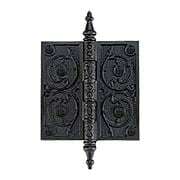 The stylized vines, patterned barrel and distinctive steeple finials will accent your most formal interiors. 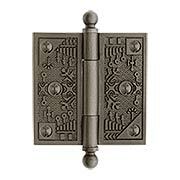 Made of substantial forged brass, with 8 popular finish options. 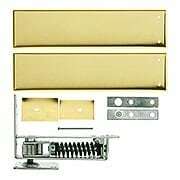 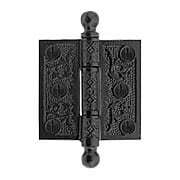 Our exceptional Windsor pattern hinges are some of the most beautiful and finely cast hinges on the market. 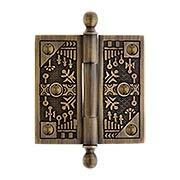 Introduced by Reading Hardware in 1885, the whimsical aesthetic design is just as fresh and lovely today. 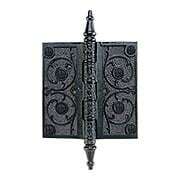 Made of solid cast iron and lacquered to preserve the finish. 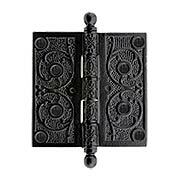 Our exceptional Windsor pattern hinges are some of the most beautiful and finely cast hinges on the market. 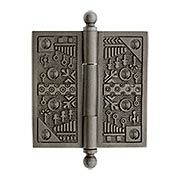 Introduced by Reading Hardware in 1885, the whimsical aesthetic design is just as fresh and lovely today. 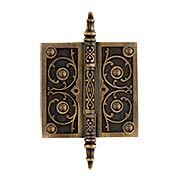 Made of solid cast brass and finished with our living antique patina. 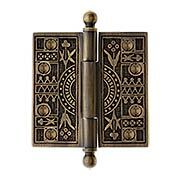 Our exclusive living antique finish highlights the bold floral pattern of this circa 1880 Eastlake-style hinge. 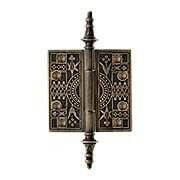 The stylized steeple finials will make this hinge a distinctive addition to your home. 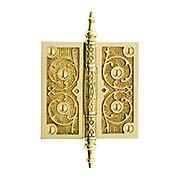 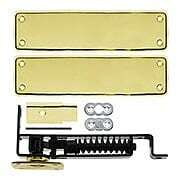 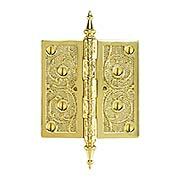 This quality reproduction is cast in solid brass with 1/8" thick leaves, loose pins & slotted screws. 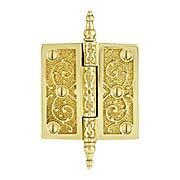 This delightful aesthetic movement hinge is one of our favorites. 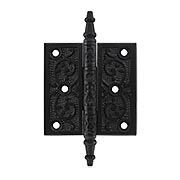 The bold stylized lilies, crisp geometric pattern, and steeple tip finials will make this circa 1880 hinge a striking addition to your home. 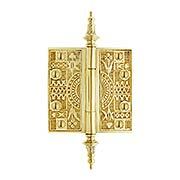 This quality reproduction is cast in solid brass with 1/8" thick leaves, loose pins & slotted screws. 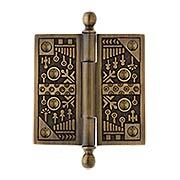 This delightful aesthetic movement hinge is one of our favorites. 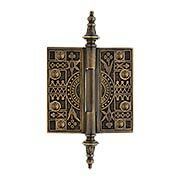 The bold stylized lilies, crisp geometric pattern, and classic ball tip finials will make this circa 1880 hinge a striking addition to your home. 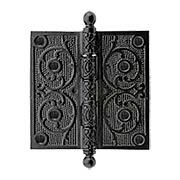 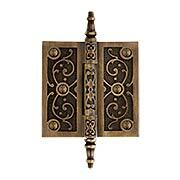 This quality reproduction is cast in solid brass with 1/8" thick leaves, loose pins & slotted screws.